I'm fairly certain the tape on left is censor tape. The cover is dated: October 29 1973, just following the Yom Kippur War (October 6 to 25 1973). Is the censor tape relating to this event? The stamp is from a 3v airmail set issued in 1972. Released for 50 years of Nepal-Egypt Diplomatic Relations. Thank you Mik! 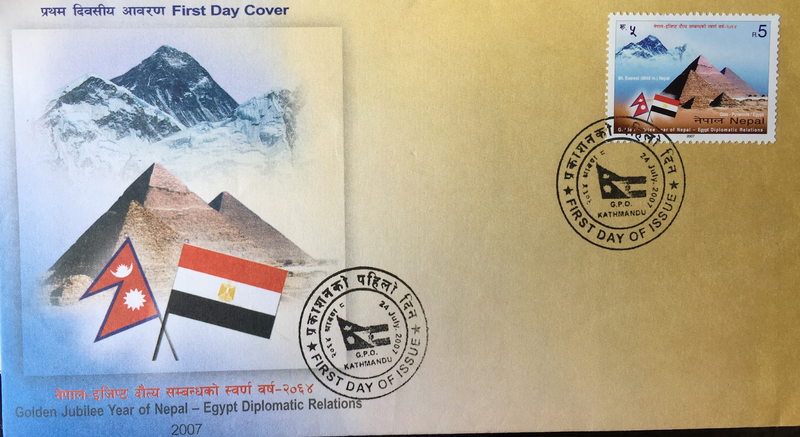 2005 World Heritage stamps.